"Xbox 360 backwards compatibility" redirects here. For Xbox 360 games compatible with Xbox One, see List of backward compatible games for Xbox One § List of compatible titles from Xbox 360. The Xbox 360 gaming console has received updates from Microsoft from its launch in 2005 until November 2007 that enable it to play select games from its predecessor, Xbox. The Xbox 360 launched with backward compatibility with the number of supported Xbox games varying depending on region. Microsoft continued to update the list of Xbox games that were compatible with Xbox 360 until November 2007 when the list was finalized. Microsoft later launched the Xbox Originals program on December 7, 2007 where select backward compatible Xbox games could be purchased digitally on Xbox 360 consoles with the program ending less than two years later in June 2009. The following is a list of all backward compatible games on Xbox 360 under this functionality. An official hard drive is required to play emulated Xbox games. At its launch in November 2005, the Xbox 360 did not have hardware-based backward compatibility with Xbox games due to the different types of hardware and architecture used in the Xbox and Xbox 360. Instead backward compatibility was achieved using software emulation. When the Xbox 360 launched in North America 212 Xbox games were supported while in Europe 156 games were supported. The Japanese market had the fewest titles supported at launch with only 12 games. Microsoft's final update to the list of backward compatible titles was in November 2007 bringing the final total to 461 Xbox games. 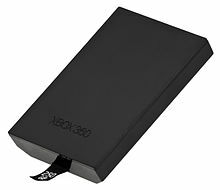 In order to use the backwards compatibility feature on Xbox 360 a hard drive is required. Updates to the list were provided from Microsoft as part of regular software updates via the Internet, ordering a disc by mail from the official website or downloading the update from the official website then burning it to a CD or DVD. Subscribers to Official Xbox Magazine would also have updates to the backwards compatibility list on the demo discs included with the magazine. Supported original Xbox games will run each with an emulation profile that has been recompiled for each game with the emulation profiles stored on the console's hard drive. Original Xbox games must use the original game disc and can't be installed to the hard drive unlike Xbox 360 games. Game saves and downloadable content can't be transferred from an original Xbox to an Xbox 360. Xbox Live functionality for original Xbox games were available until April 15, 2010 until support for original Xbox games were discontinued. System link functionality between original Xbox and Xbox 360 remains available. Microsoft launched the Xbox Originals program in December 2007 where Xbox 360 owners could purchase select original Xbox titles digitally if they did not own a game disc and could be found inside their own section in the Xbox Live Marketplace. Beginning in June 2009 the branding was phased out and the games were moved to the "Games on Demand" section of the store while Microsoft stating that they have "finished it's portfolio" of Xbox Originals. During Microsoft's E3 2017 press conference on June 11, 2017, backward compatibility for original Xbox games on Xbox One family of consoles was announced. Part of the backward compatibility program for Xbox One will see original Xbox games be made available digitally in addition to owners of the original Xbox game disc. Prior to the first batch of original Xbox backward compatible titles for Xbox One were revealed six titles that were never released digitally as part of Xbox Originals program for Xbox 360 appeared in its "Games on Demand" store. Microsoft also confirmed that digital licenses would also carry over to Xbox One. Game saves for original Xbox games that are backward compatible on both Xbox 360 and Xbox One can't be transferred between the three generations. While Xbox Live functionality won't be available Albert Penello, head of marketing for Xbox, explained users could "system link an original Xbox, an Xbox 360, an Xbox One and an Xbox One X for a four-player system-link LAN play with all original disks across three generations of consoles." There are currently 461 on this list out of 1047 games released for the Xbox. The following Xbox titles listed below were initially announced as being backwards compatible with Xbox 360 that were later removed from the official list from Microsoft. ^ Microsoft has this game listed twice under the titles World Soccer Winning Eleven 9 and Pro Evolution Soccer 5. ^ The official backward compatibility list erroneously states only the North American version of this game is supported on the Xbox 360. This title was only released for the Nintendo GameCube in North America. This title was released as an Xbox Original only for Japanese Xbox 360 owners. ^ a b c James Bond 007: Nightfire, Sniper Elite and Tecmo Classic Arcade were original Xbox titles that were announced would be backwards compatible with Xbox 360 from its launch date. The titles remained on the official list from Microsoft until the website was updated on February 14, 2008 removing the titles from the list. Sniper Elite was included on Microsoft's official list of technical issues for certain Xbox games on Xbox 360. The page was removed between October and November 2010 when the official Xbox website was given a redesign. The titles are not included on the current official backward compatible list from Microsoft. ^ Berardini, César (May 23, 2005). "MS Engineer Speaks on Xbox 360 Backward Compatibility - Xbox". Team Xbox. Archived from the original on April 1, 2013. Retrieved April 11, 2018. ^ a b c GamesIndustry International (November 14, 2005). "212 Xbox titles to work on Xbox 360 at launch". Eurogamer.net. Retrieved April 11, 2018. ^ Gibson, Ellie (November 17, 2005). "156 Xbox titles to work on European 360s". Eurogamer.net. Retrieved April 11, 2018. ^ Bramwell, Tom (November 17, 2005). "Just 12 Xbox games to work on Japanese Xbox 360". Eurogamer.net. Retrieved April 11, 2018. ^ a b c d e f g h i j k l m n o p q r s t u v w x y z aa ab ac ad ae af ag ah ai aj ak al am an ao ap aq ar as at au av aw ax ay az ba bb bc bd be bf bg bh bi bj bk bl bm bn bo bp bq br bs bt bu bv bw bx by bz ca cb cc cd ce cf cg ch ci cj ck cl cm cn co cp cq cr cs ct cu cv cw cx cy cz da db dc dd de df dg dh di dj dk dl dm dn do dp dq dr ds dt du dv dw dx dy dz ea eb ec ed ee ef eg eh ei ej ek el em en eo ep eq er es et eu ev ew ex ey ez fa fb fc fd fe ff fg fh fi fj fk fl fm fn fo fp fq fr fs ft fu fv fw fx fy fz ga gb gc gd ge gf gg gh gi gj gk gl gm gn go gp gq gr gs gt gu gv gw gx gy gz ha hb hc hd he hf hg hh hi hj hk hl hm hn ho hp hq hr hs ht hu hv hw hx hy hz ia ib ic id ie if ig ih ii ij ik il im in io ip iq ir is it iu iv iw ix iy iz ja jb jc jd je jf jg jh ji jj jk jl jm jn jo jp jq jr js jt ju jv jw jx jy jz ka kb kc kd ke kf kg kh ki kj kk kl km kn ko kp kq kr ks kt ku kv kw kx ky kz la lb lc ld le lf lg lh li lj lk ll lm ln lo lp lq lr ls lt lu lv lw lx ly lz ma mb mc md me mf mg mh mi mj mk ml mm mn mo mp mq mr ms mt mu mv mw mx my mz na nb nc nd ne nf ng nh ni nj nk nl nm nn no np nq nr ns nt nu nv nw nx ny nz oa ob oc od oe of og oh oi oj ok ol om on oo op oq or os ot ou ov "Play Original Xbox Games on Xbox 360". support.xbox.com. Archived from the original on September 4, 2018. Retrieved October 3, 2018. ^ a b Corriea, Alexa Ray (May 2, 2015). "Why Are Current Consoles Not Backward Compatible?". GameSpot. Retrieved April 11, 2018. ^ "How To Get Original Xbox Game Support for Xbox 360". Xbox.com. May 12, 2008. Archived from the original on May 12, 2008. Retrieved April 11, 2008. ^ Gibson, Ellie (May 19, 2005). "E3: Xbox 360 "backwards compatibility" explained". Gamesindustry.biz. Archived from the original on May 1, 2006. Retrieved April 11, 2018. ^ Whitten, Marc. "A Letter from Marc Whitten: Discontinuation of Xbox LIVE for Original Xbox Games". Archived from the original on February 9, 2010. Retrieved June 19, 2013. ^ a b c d "Reminder: Xbox Originals now available - Xbox Lives Major Nelson". Major Nelson. February 11, 2008. Archived from the original on May 27, 2008. Retrieved April 7, 2018. ^ a b c d e f g h i j k l Ryan McCaffrey (October 23, 2017). "First 13 Original Xbox Games Announced for Xbox One Compatibility". ign.com. Ziff Davis, LLC. Retrieved October 23, 2017. ^ Plunkett, Luke (June 17, 2009). "Microsoft Pulls Plug On Xbox Originals". Kotaku. Retrieved April 12, 2018. ^ Chris Kohler (June 11, 2017). "Xbox One Will Get Compatibility With Original Xbox Games [Update]". kotaku.com. Gizmodo Media Group. Retrieved June 12, 2017. ^ a b Phillips, Tom (October 23, 2017). "Original Xbox Star Wars: KOTOR downloadable ahead of back-compat launch". Eurogamer.net. Retrieved April 7, 2018. ^ a b c d e f g h i j k l m n o p q r s t u v w x y z aa ab ac ad ae af ag ah ai aj ak al am an ao ap aq ar as at au av aw ax ay az ba bb bc bd be bf bg bh bi bj bk bl bm bn bo bp bq br bs bt bu bv bw bx by bz ca cb cc cd ce cf cg ch ci cj ck cl cm cn co cp cq cr cs ct cu cv cw cx cy cz da db dc dd de df dg dh di dj dk dl dm dn do dp dq dr ds dt du dv dw dx dy dz ea eb ec ed ee ef eg eh ei ej ek el em en eo ep eq er "Backward Compatibility - Technical Support and Known Issues". Xbox. January 7, 2010. Archived from the original on January 7, 2010. Retrieved April 16, 2018. ^ a b c d e f g h i j k l m n o p q r s Tyrrel, Brandin (April 10, 2018). "Morrowind, Kotor 2, Jade Empire Headline New Wave Of Original Xbox Backwards Compatible Games". IGN. Retrieved April 10, 2018. ^ Fahey, Mike (January 14, 2009). "Your Next Xbox Original Is...Blowout?". Kotaku. Retrieved April 12, 2018. ^ "Xbox Originals: Burnout 3: Takedown - Xbox Live's Major Nelson". Major Nelson. 2009-02-04. Archived from the original on February 4, 2009. Retrieved April 7, 2018. ^ a b c d e f g "Xbox Originals Manuals and Controller layouts (and free themes and picture packs) - Xbox Live's Major Nelson". majornelson.com. December 4, 2007. Archived from the original on July 25, 2009. Retrieved April 4, 2018. ^ a b c d Plunkett, Luke (November 14, 2007). "Xbox Originals: Japan Gets Different Xbox Originals Lineup". Kotaku. Archived from the original on December 18, 2007. Retrieved April 4, 2018. ^ a b "Xbox Originals: Destroy all Humans and Intellivision Lives! - Xbox Live's Major Nelson". Major Nelson. September 15, 2008. Archived from the original on February 1, 2008. Retrieved 2018-04-07. ^ "Destroy All Humans!™ - Xbox.com". Xbox.com. 2011-01-16. Archived from the original on 2011-01-16. Retrieved 2018-04-11. ^ "Destroy All Humans!™ - Xbox.com". Xbox.com. July 4, 2011. Archived from the original on July 4, 2011. Retrieved April 11, 2018. ^ "Xbox Originals: Dreamfall: The Longest Journey - Xbox Lives Major Nelson". Major Nelson. March 24, 2008. Archived from the original on May 28, 2008. Retrieved April 7, 2018. ^ "Dreamfall: The Longest Journey". Delisted Games. July 9, 2017. Retrieved April 7, 2018. ^ "Full Game - Dreamfall: The Longest Journey - Xbox.com". Xbox. Archived from the original on July 12, 2012. Retrieved April 7, 2018. ^ a b "Xbox Originals: Stubbs the Zombie and Gauntlet: Seven Sorrows - Xbox Lives Major Nelson". Major Nelson. May 14, 2008. Archived from the original on September 21, 2008. Retrieved April 7, 2018. ^ "New Xbox Original now available: Grabbed by the Ghoulies - Xbox Live's Major Nelson". Major Nelson. February 16, 2009. Archived from the original on June 23, 2009. Retrieved April 7, 2018. ^ a b c d e f g h i Adams, David (November 11, 2005). "Backwards-Compatible Titles Revealed". IGN. Archived from the original on May 3, 2013. Retrieved April 16, 2018. ^ Leadbetter, Richard (December 17, 2011). "Retro Face-Off: Grand Theft Auto 3". Eurogamer.net. Retrieved October 3, 2018. ^ Pack included Grand Theft Auto III and Grand Theft Auto: Vice City. ^ "'Grand Theft Auto: San Andreas' Coming to Xbox Originals - Xbox Live's Major Nelson". October 16, 2008. Archived from the original on February 1, 2010. Retrieved April 7, 2018. ^ "Games on Demand GTA: San Andreas Replacing Xbox Originals Version". Rockstar Support. Retrieved 2018-04-08. ^ a b "And the next two Xbox Original titles are... - Xbox Live's Major Nelson". Major Nelson. June 11, 2008. Archived from the original on February 1, 2010. Retrieved April 7, 2018. ^ "He-Man: Defender of Grayskull - Xbox - GameSpy". xbox.gamespy.com. Retrieved July 17, 2018. ^ "Xbox Originals: Jade Empire - Xbox Live's Major Nelson". Major Nelson. July 21, 2008. Archived from the original on February 1, 2010. Retrieved April 4, 2018. ^ "New Xbox Originals now available: Max Payne and Max Payne 2 - Xbox Live's Major Nelson". Major Nelson. April 27, 2009. Archived from the original on November 26, 2010. Retrieved April 7, 2018. ^ a b "Coming to Xbox Originals: Splinter Cell:CT and Metal Arms - Xbox Live's Major Nelson". Major Nelson. April 15, 2008. Archived from the original on December 11, 2008. Retrieved April 4, 2018. ^ Harris, Craig (May 4, 2005). "Puyo Pop Fever". IGN. Retrieved October 3, 2018. ^ a b "Xbox Originals: Sega Soccer Slam and Raze's Hell - Xbox Live's Major Nelson". Major Nelson. December 15, 2008. Archived from the original on June 4, 2009. Retrieved April 7, 2018. ^ Rudden, David (August 29, 2006). "Microsoft adds dozens of Xbox 360-compatible games". CNET. Retrieved April 16, 2018. ^ "SEGA Partners with Cartoon Network and Warner Bros. Interactive Entertainment to Publish Samurai Jack: The Shadow of Aku for PlayStation 2, Xbox and Nintendo GameCube". Business Wire. January 27, 2004. Retrieved 2012-11-30. ^ "Samurai Jack: The Shadow of Aku (xbx: 2004): Reviews". Metacritic. CBS Interactive. Archived from the original on 2008-09-13. Retrieved 2017-04-16. ^ Plunkett, Luke. "And Your Next Xbox Original Is..." Kotaku. Retrieved 2018-04-07. ^ a b c d e f g Choi, Dan (December 1, 2005). "US 360 backward-compatibility list shrinks". Joystiq. Archived from the original on January 29, 2015. Retrieved April 16, 2018. ^ "Original Xbox Games on Xbox 360 from February 12, 2008". Xbox. February 12, 2008. Archived from the original on February 12, 2008. Retrieved April 16, 2018. ^ "Original Xbox Games on Xbox 360 from February 14, 2008". Xbox. February 14, 2008. Archived from the original on February 14, 2008. Retrieved April 16, 2018. ^ "Backward Compatibility - Technical Support and Known Issues". Xbox. October 13, 2010. Archived from the original on October 13, 2010. Retrieved April 19, 2018. Microsoft's official list of Backward Compatibility Technical Support and Known Issues for Xbox 360 showing the webpage online as of October 13, 2010. ^ "Backward Compatibility - Technical Support and Known Issues". Xbox. November 21, 2010. Archived from the original on November 21, 2010. Retrieved April 19, 2018. Microsoft's official list of Backward Compatibility Technical Support and Known Issues for Xbox 360 showing the webpage was missing or removed as of November 21, 2010 when the entire Xbox website was redesigned. This page was last edited on 1 April 2019, at 02:35 (UTC).